Sri Lankan cricketers had to wear anti-pollution masks to keep from collapsing on the field. 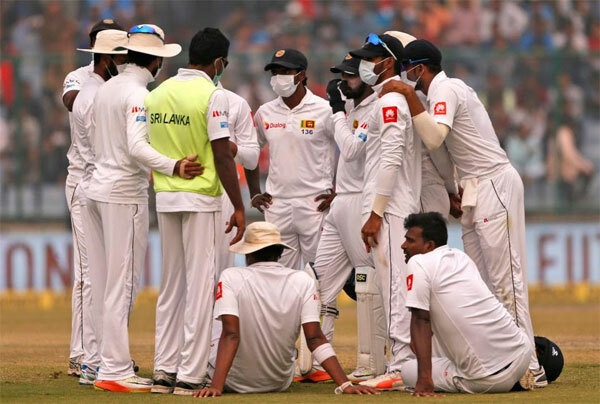 Delhi’s killer air hit the headlines again as Sri Lankan cricketers donned pollution masks at a recent test match against India. The air was so bad that some players even threw up on the field. The ICC is set to raise the issue at its February meet. The Indian Medical Association was furious over sending the wrong message to children about playing outside in toxic air and wants air quality to be part of pre-match light-and-rain assessment. India’s green court slammed the authorities over the match in Delhi. A new UNICEF study says toxic air triggers neurological-behavioural problems in children, severely lowering their IQ. Meanwhile, world over, climate leaders marked Smog Day to mourn premature air pollution deaths. In Africa toxic air is becoming a bigger threat than malnutrition, while in China the poorly planned shift from coal to gas to fight air pollution has left the poorer regions around Beijing shivering at -6°C. 2 yrs on, Coal plants allowed' to pollute, Green court asks govt to explain, consumers pay for 'clean coal'? As the government plans to extend thermal power plants’ emissions deadline, over 60% of them continue to spew illegal amount of pollutants. The deadline to reduce emissions ended on Dec 7 with over 300 out of 500 coal plants found violating the norms set 2 years ago. Worse, in the ‘world’s most polluted city’ Delhi, not a single polluter has been booked in the last 3 years, and across the country just over a hundred air pollution cases have been registered. India’s highest climate court (The National Green Tribunal) has sought clarification from the Central Pollution Control Board (CPCB) on why coal plants were emitting beyond permissible limits. “Show us one plant where compliance has been done”, the bench remarked as it ordered the government to clarify its stand on the issue in the next hearing. 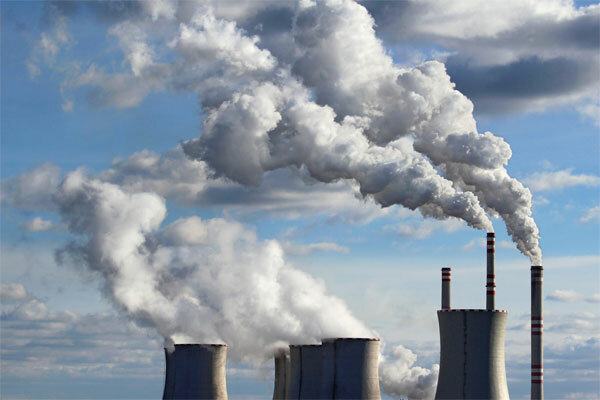 Government-owned ‘Coal India’ has topped the list of 250 biggest polluters of the world – with 2076.2 million tonnes of annual GHG emissions, while three other Indian firms are among the 100 global businesses with the highest carbon footprint. 14 of the top 100 emitters in 2016 were from China. The government may allow coal plants to pass on the cost of installing pollution abatement technologies to consumers. Meanwhile experts have warned against investing in coal in the 2020s as it would trap India into the wrong technology. To suggest that coal can help poorer states is superficial, experts said, adding that India should be wary of the yet-to-be-invented clean coal energy at a time when renewables are getting cheaper. Almost all coal plants in the EU will run huge losses in next 10 years, relying on subsidies to stay open and compete with renewables. 97% of plants will reportedly suffer negative cashflow by 2030, even as 54% of the region’s plants already fail to break even. A new report says India reduced its energy subsidies by over $15 billion (Rs 82,000 crore) between 2014 and 2016. The decline could be because of India’s reforms to curb oil and gas subsidies as well as due to the decrease in global oil prices. In 2009, India committed to phasing out fossil fuel subsidies, perhaps in light of the fact that 1.8 million die in India due to air pollution. If India cuts fossil fuel subsidies it could prevent up to 65% of these deaths. 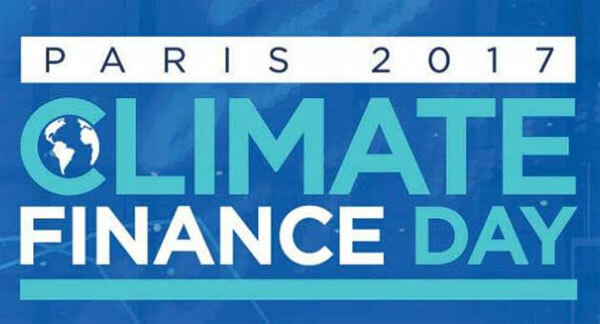 World leaders are in France at the One Planet summit with the objective of mobilizing finance to fund projects that can reduce climate-changing pollution. Companies, banks, investors, and countries will announce new initiatives to help fund the costly transition to a carbon-free future. Only real commitments funded by real money will be discussed. Also, the International Maritime Organization, representing what many believe to be the rogue industry of shipping, is likely to set emissions targets in line with the “well below 2°C” global warming limit. Funds for developing nations will be galvanised at the summit. India-initiated International Solar Alliance became official on December 6th, with 19 countries ratifying its framework agreement. 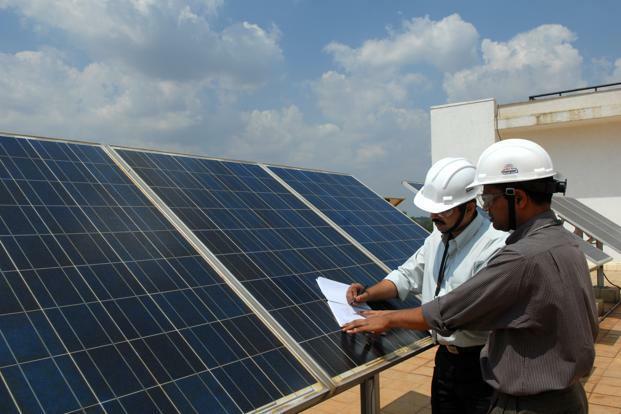 The ISA aims to raise $1,000 billion for solar energy by 2030. 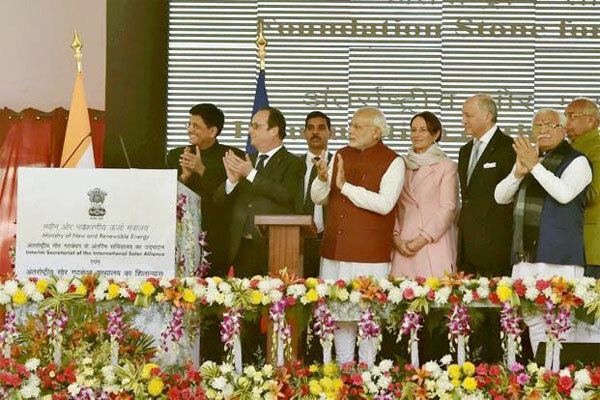 Initiated in Paris 2015, it’s the first treaty-based international organisation to be based in India, which India can use to cement its renewable energy leadership among developing countries. India has also set aside $2 billion for solar projects in Africa. The ISA also plans to develop an insurance scheme – a $300 billion Common Risk Mitigating Mechanism – to protect investors. In a few months, Yoga guru Ramdev’s firm Patanjali is expected to start producing solar equipment at their nearly Rs 100 crore solar equipment manufacturing factory in Greater Noida. Patanjali’s director Balkrishna said they decided to make solar panels because “most of the solar modules come from China, and there was no quality consistency even in India-made ones”. Patanjali will not be competing with Chinese module prices. Meanwhile, Acme Cleantech has taken Chennai port officials to Madras High Court over newly imposed import duty on solar modules. Solar panels were classified as duty-free semiconductors, but Chennai port changed the classification to electric motors and slapped a 7.5% duty. 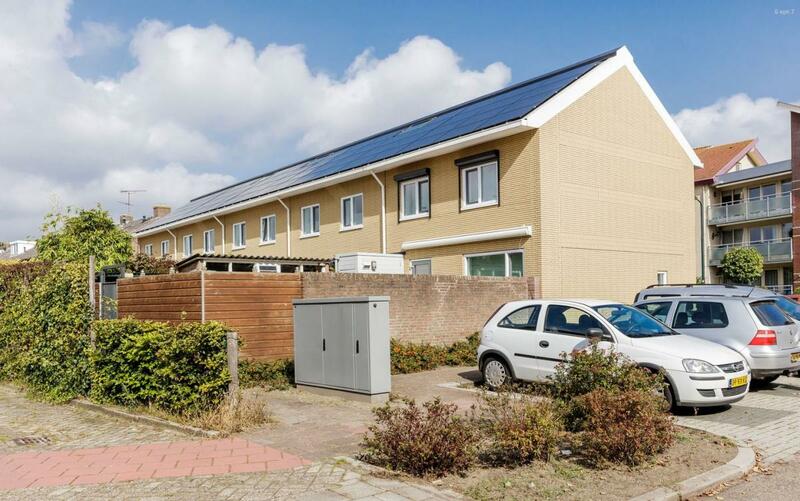 About 90% of the solar panels are imported, as they are cheaper than home-made modules. Acme is the only one that has gone to court so far. The MNRE has written to the finance minister to intervene in the matter. The International Finance Corporation has said India’s renewable energy sector – that aims to install 175GW by 2022 – has opportunities worth $448 billion. 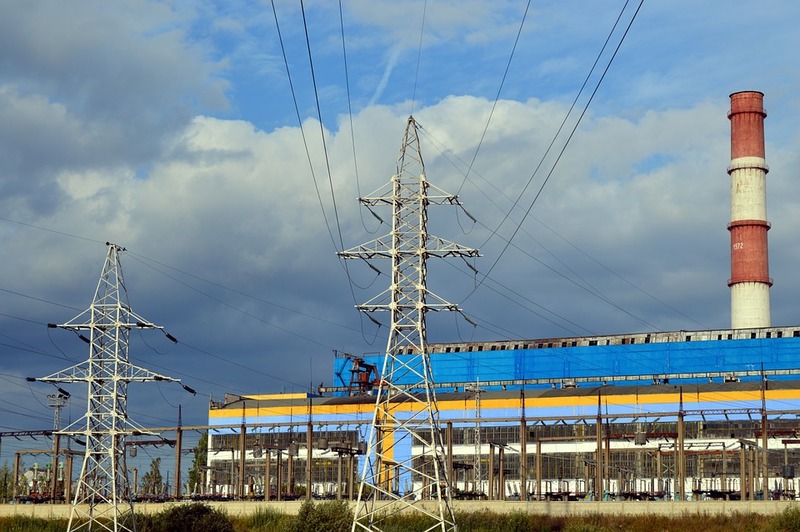 India aims for a 40% of its installed power capacity to be powered by renewables by 2030. The IFC estimated that India will attract $3.1 trillion worth of investment through 2030 as it proceeds to meet its Paris targets. Rooftop solar continues to be the fastest growing sub-sector, and needs to grow faster still to reach the ambitious 40GW target, which presents a $23 billion investment opportunity. A UK study has found that rail companies could cut their costs by millions of pounds a year by installing trackside solar panels to power electric trains – and therefore enabling them to cut fares for passengers. Installing solar farms and batteries alongside railway lines also could provide the extra energy needed to power more carriages on busy routes that otherwise would require prohibitively expensive upgrades to electricity networks. Growing demand for renewable energy has taken toll on General Electric, with the company planning to cut 12,000 jobs in its power division. Oil and natural gas markets are dealing with a glut of supply and companies like General Electric have been forced to cut prices on their services. Tata Motors has delivered its first batch of the Tigor electric vehicle (EV) from its Gujarat factory. The vehicles are part of EESL’s 10,000 EV tender. Two-wheeler maker TVS has bought a 14.78% stake in Ultraviolette Automotive, a Bengaluru-based startup working on electric two-wheelers and energy infrastructure. 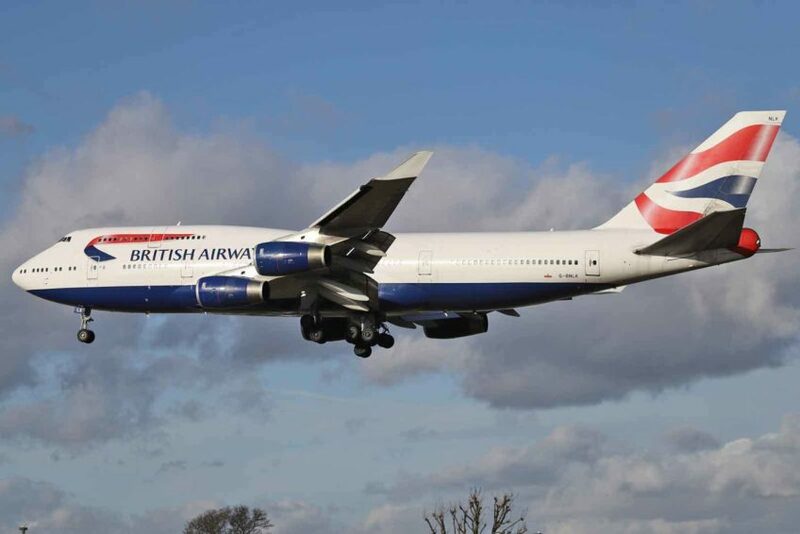 The transaction was valued at a little over Rs 5 crore. The Karnataka government will soon unveil its action plan for its electric vehicle and energy storage policy for electric mobility in Bengaluru. Karnataka’s Rs 31,000 crore EV plan aims to create 55,000 jobs. Meanwhile, a Chinese company has proposed to make ebuses for Bengaluru’s roads. Hyundai is expected to showcase its Ioniq hybrid and electric cars at the Auto Expo 2018 – scheduled to be held in February. 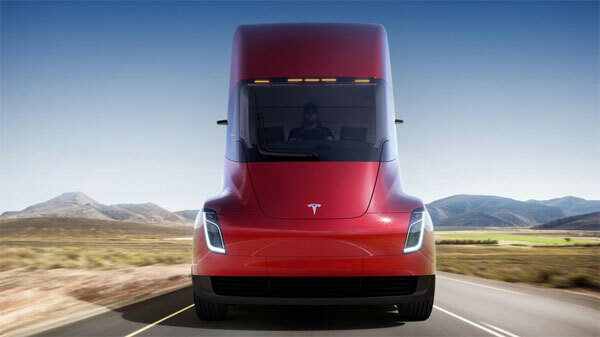 Soon Budweiser orders might be shipped by Tesla’s Semi trucks, as Anheuser-Busch – the maker of Budweiser beer – has reserved 40 of Elon Musk’s all-electric trucks. The company claims the order is one of the largest placed for the trucks since reservations were opened on Nov. 17. China will extend a tax rebate on the purchase of new-energy vehicles through 2020 after the incentive helped the country become the world’s biggest market for clean fuel automobiles. The current tax rebate policy is due to expire at end of this year. Cyclone Ockhi has battered several states on India’s coast and killed 40 people in Kerala. Indian forces have rescued 252 fishermen so far. 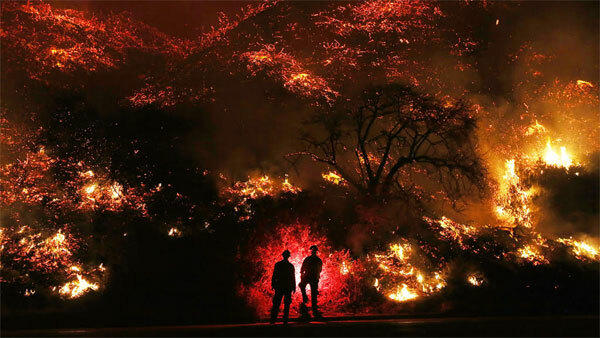 Official estimates say some 90 men are still missing. The weakened cyclone moved northwards causing heavy rainfall on the coasts of Karnataka and Maharashtra, with Mumbai receiving its highest-ever rainfall for December in 50 years. Scientists say climate change has made tropical cyclones much more destructive in the last 30 years. 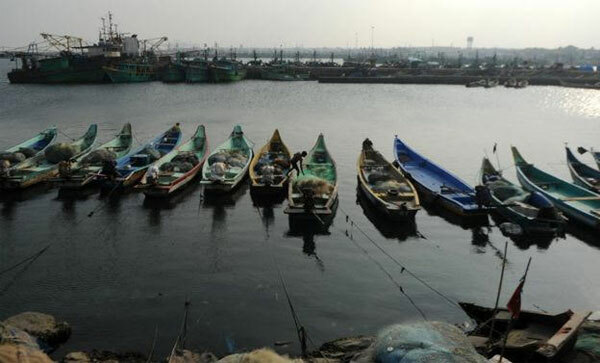 Even as the Centre and state agencies point fingers at each other, experts allege Ockhi’s impact was worsened by delayed warnings, as hundreds of fishermen were already out at sea. Secondly, the rains quickly caused flooding because – like in Chennai in 2015 – the government’s mega infrastructure projects encroached on water bodies. Also, Indian laws provide for safety of boats sized 20-meter and above and not for small boats that provide 90% of marine catch. Also the laws do not allow deep-sea fishing vessels to carry communication equipment that could have helped them access weather warnings.